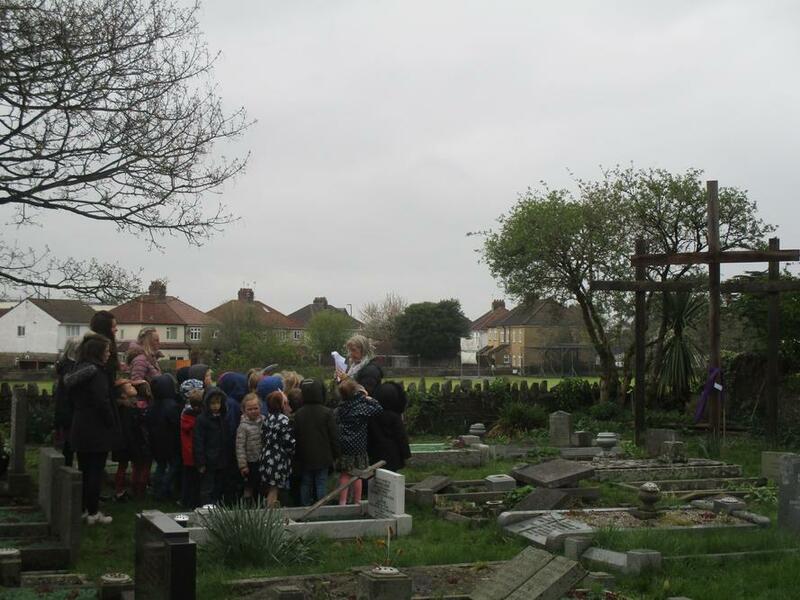 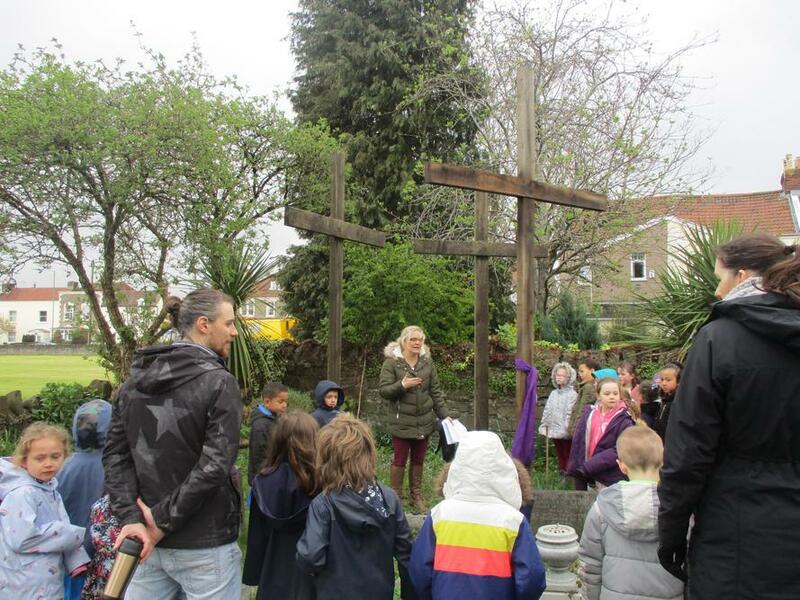 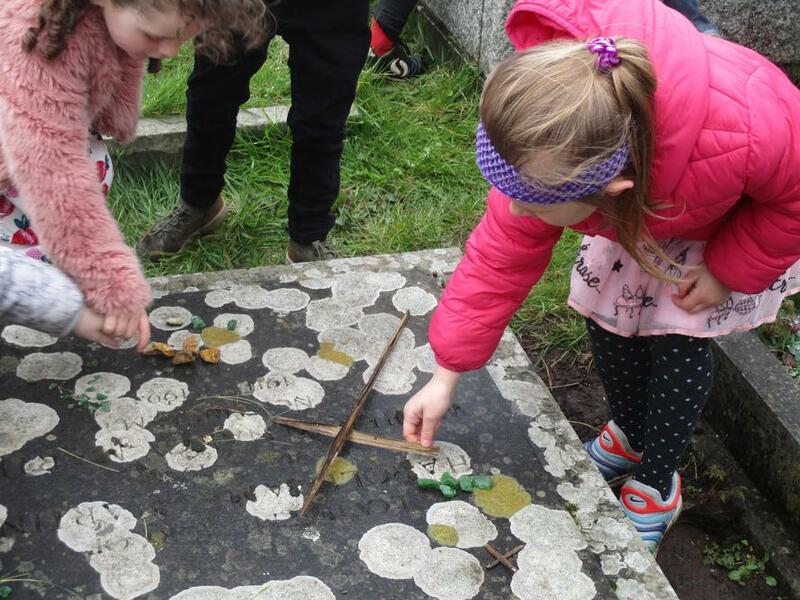 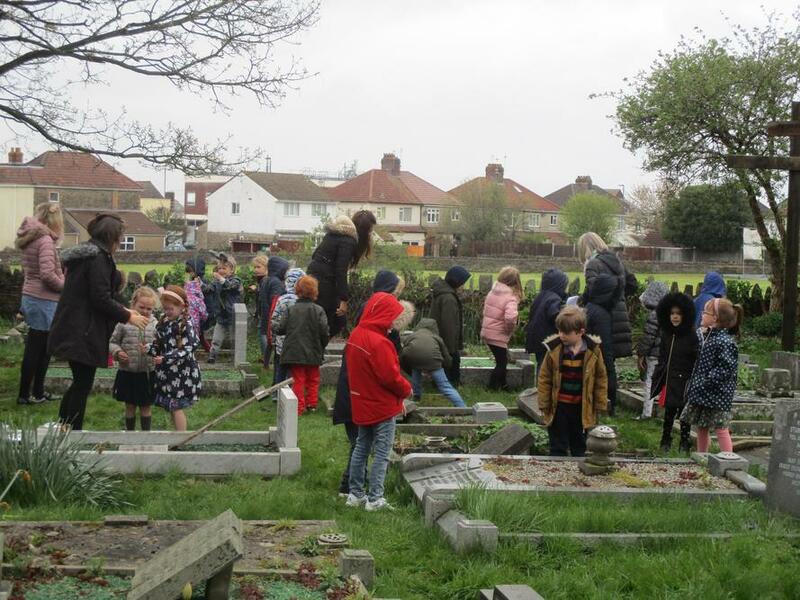 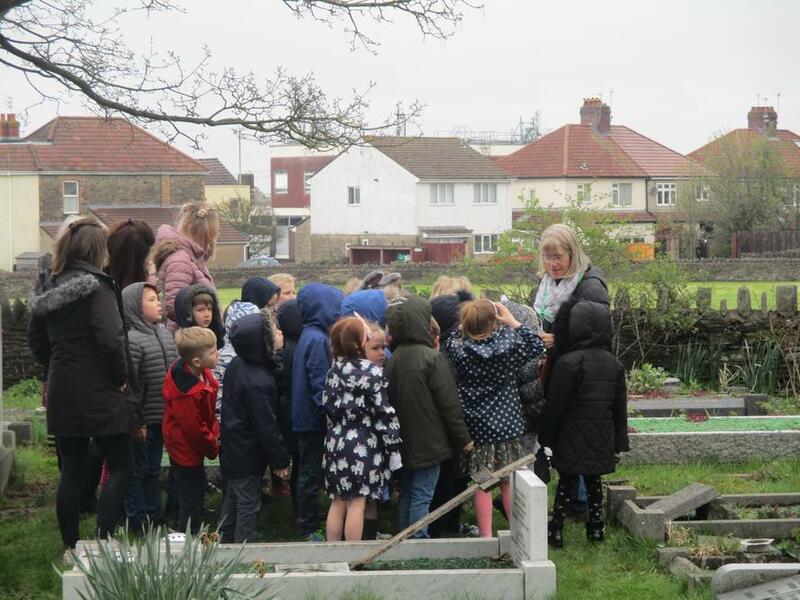 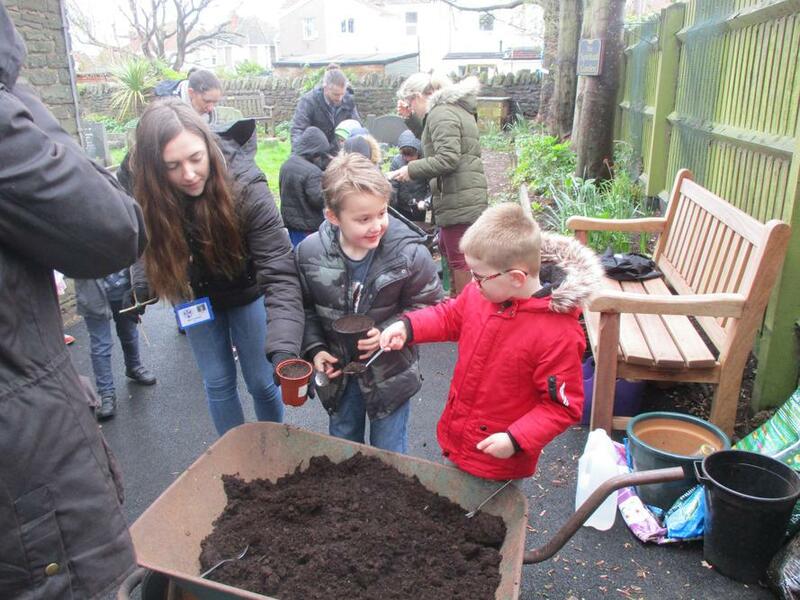 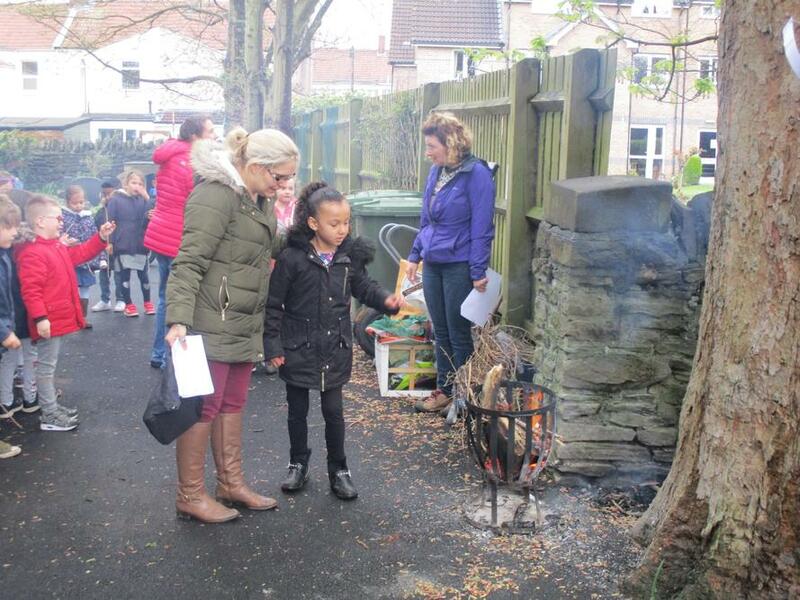 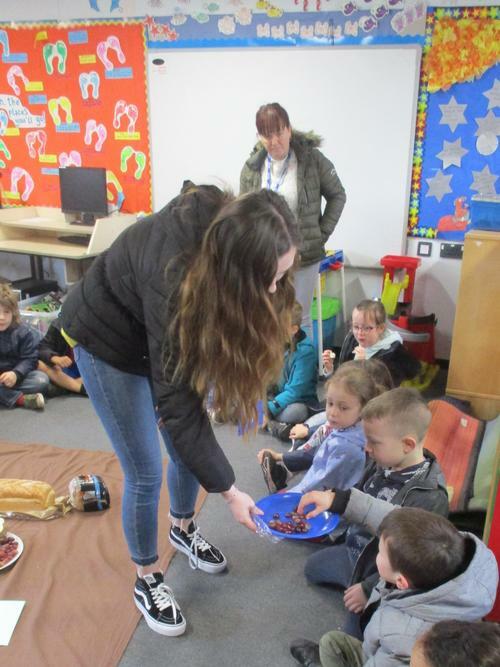 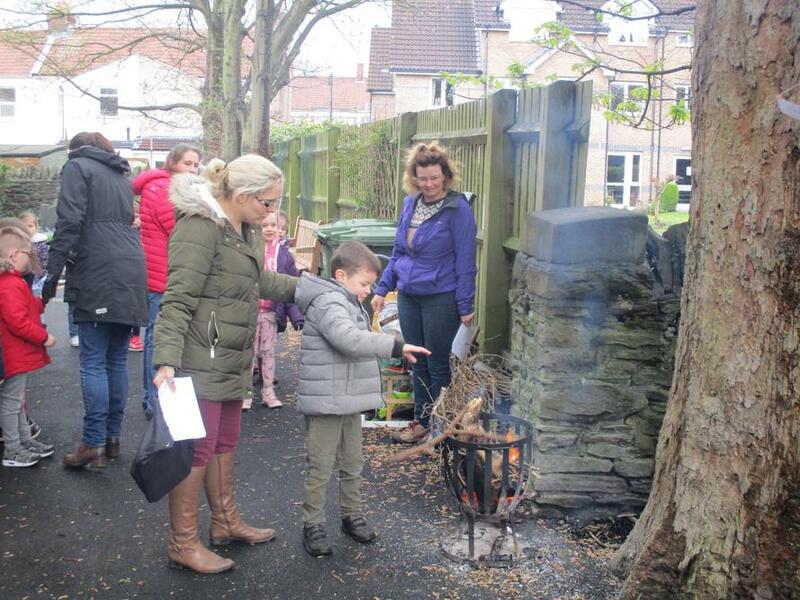 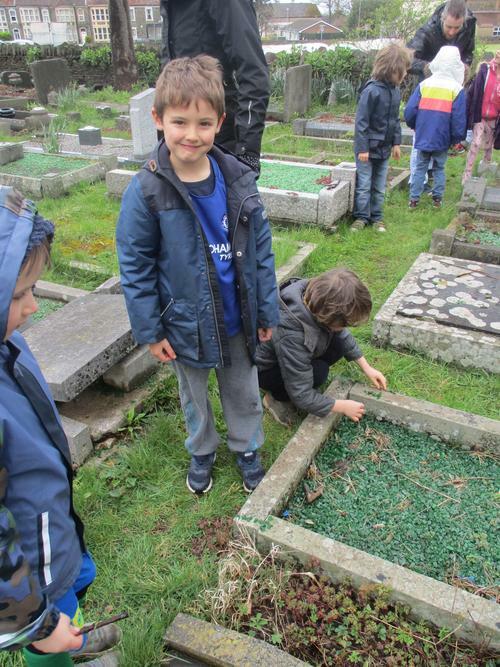 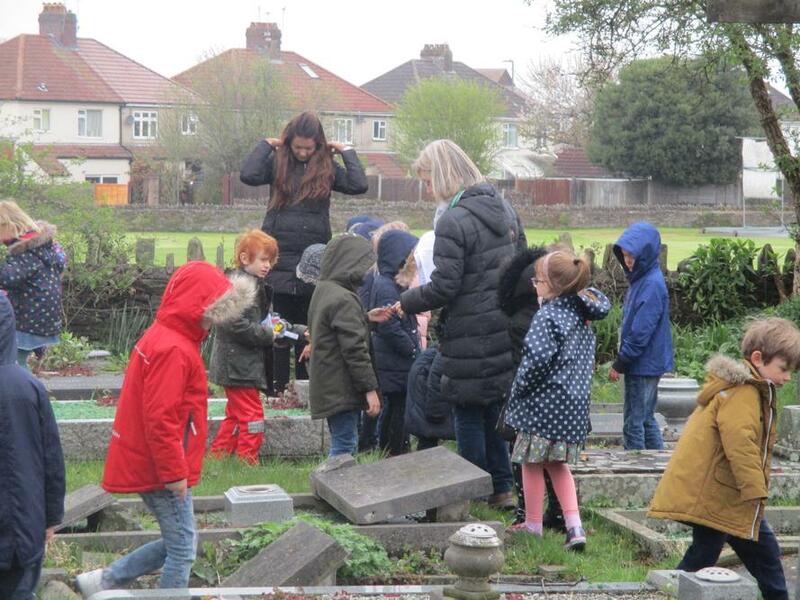 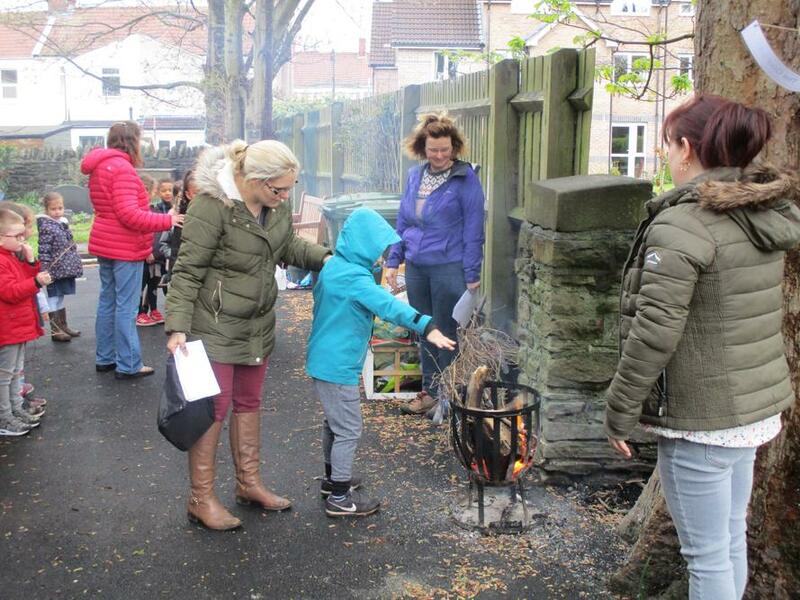 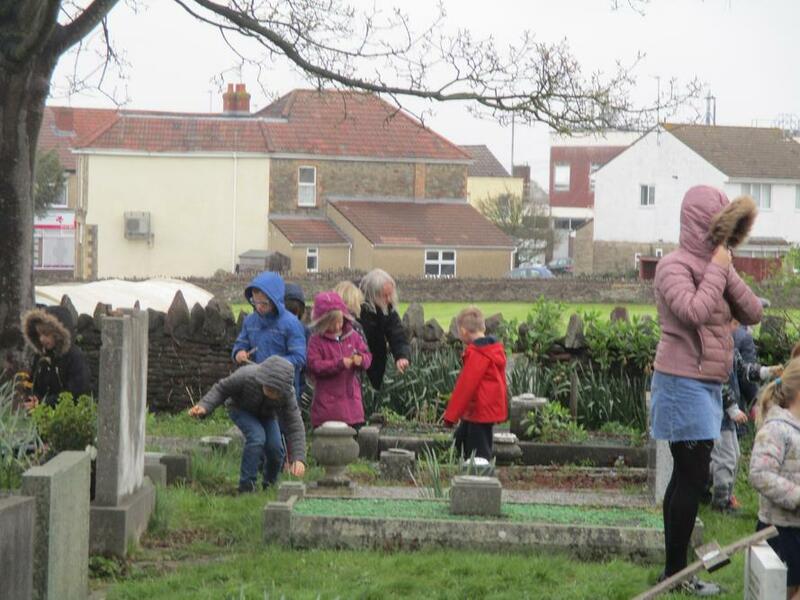 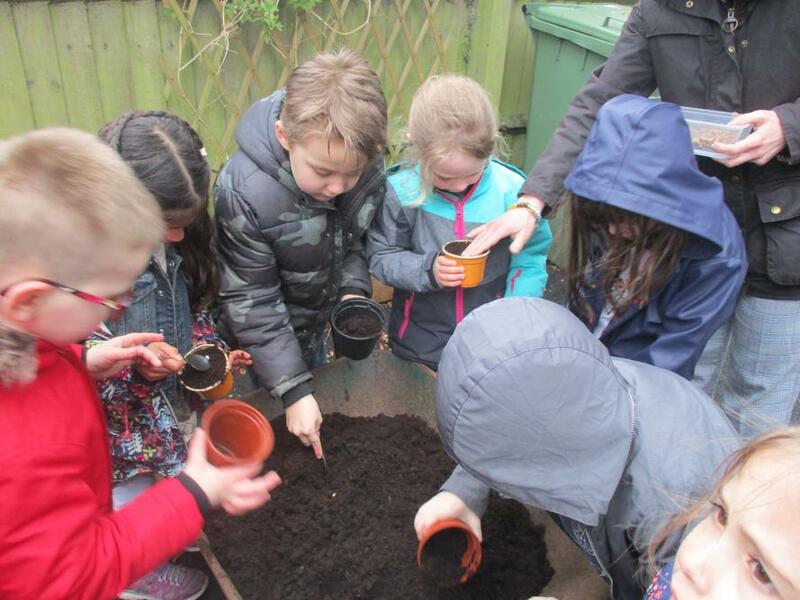 On Friday 5th April we celebrated Easter with an experience Easter day, with help from Mrs Jenkins, the Christ Church team and parents. 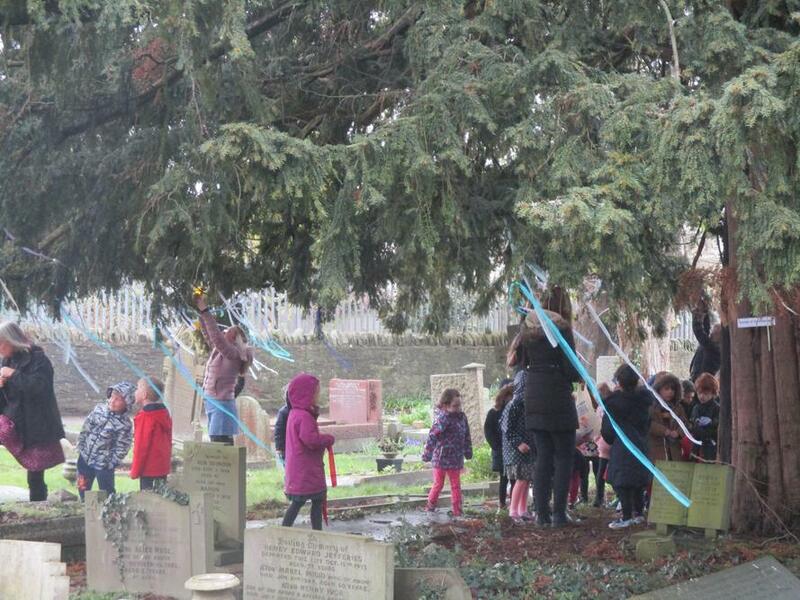 The children rotated around different stations to look at different parts of the Easter story. 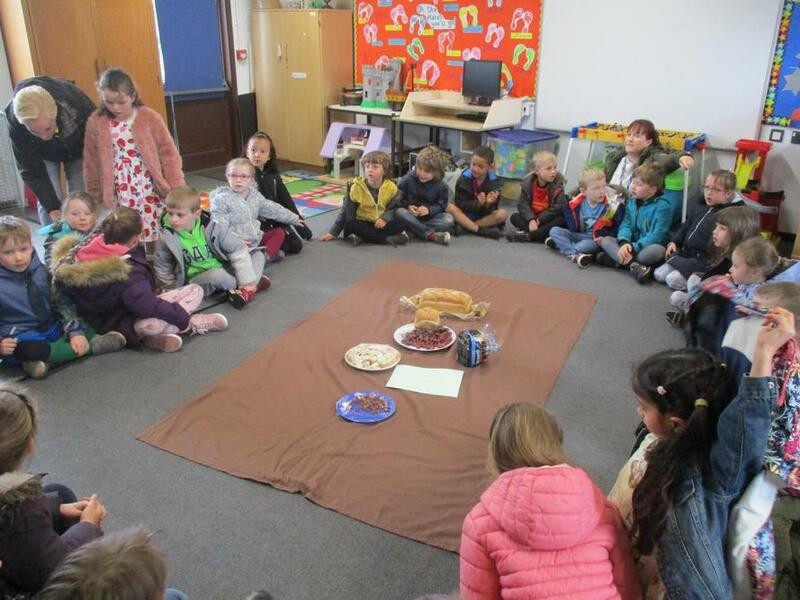 We had the last supper and tasted bread and grapes instead of wine! 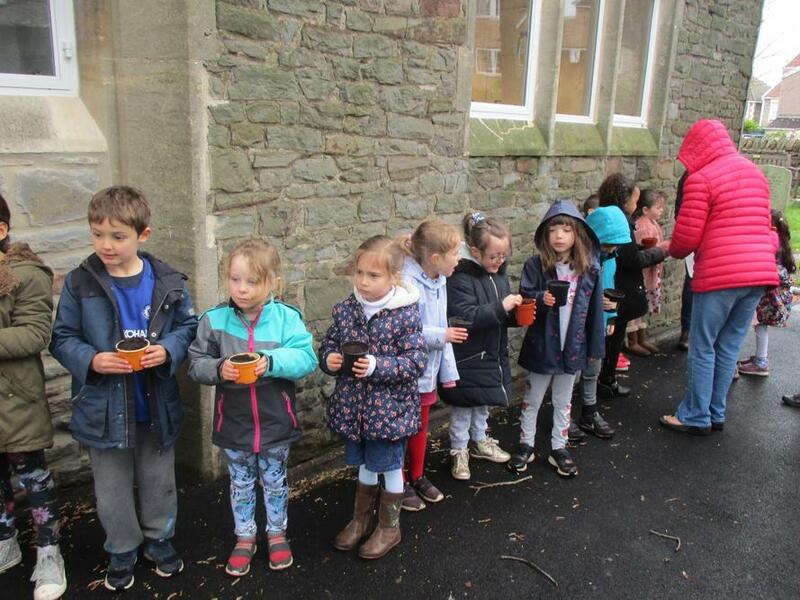 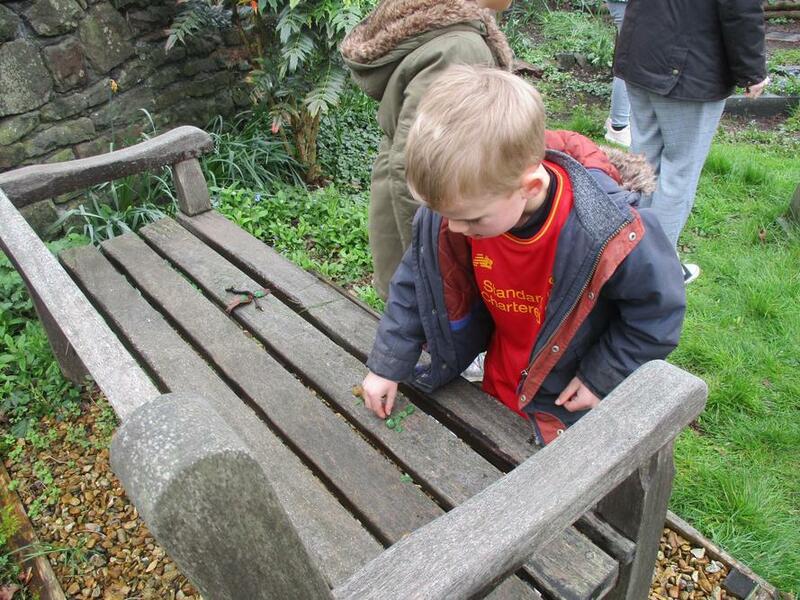 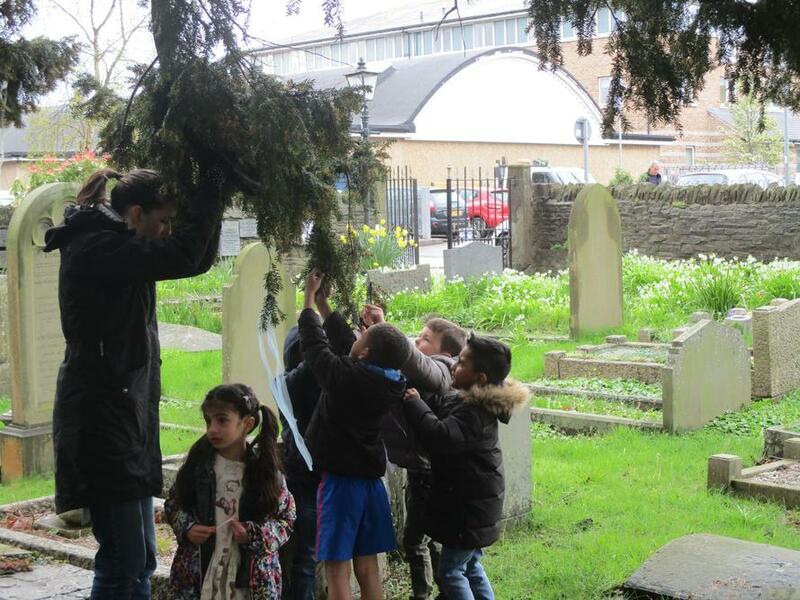 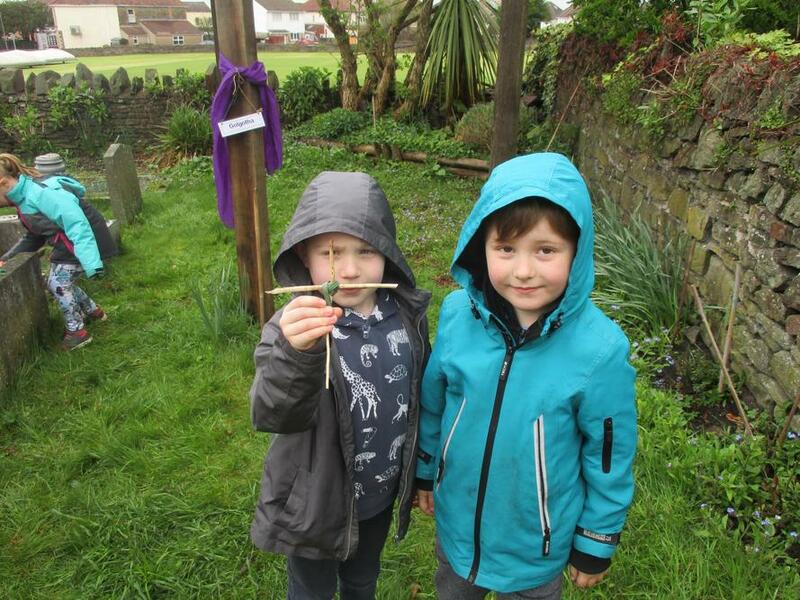 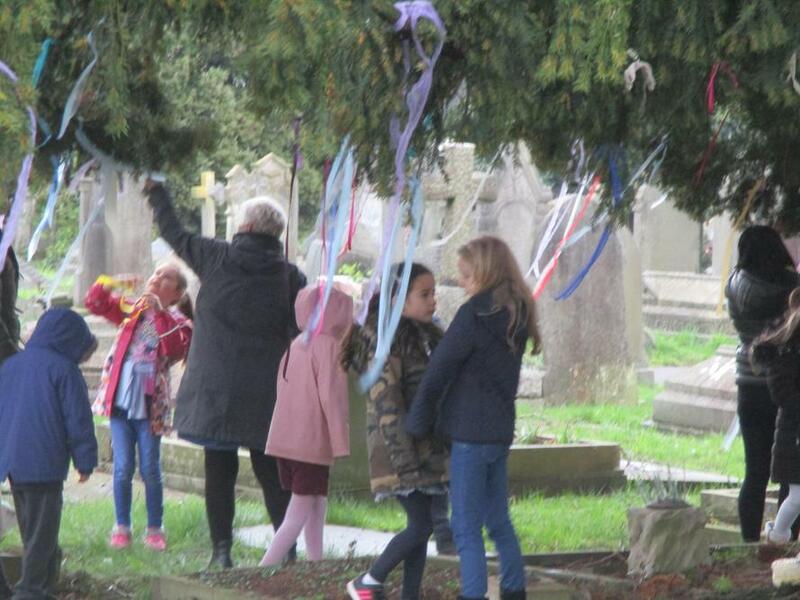 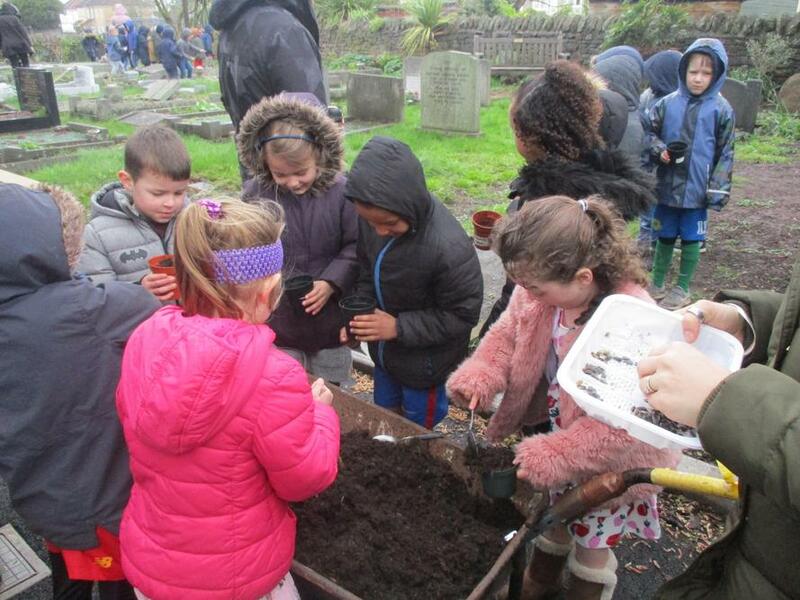 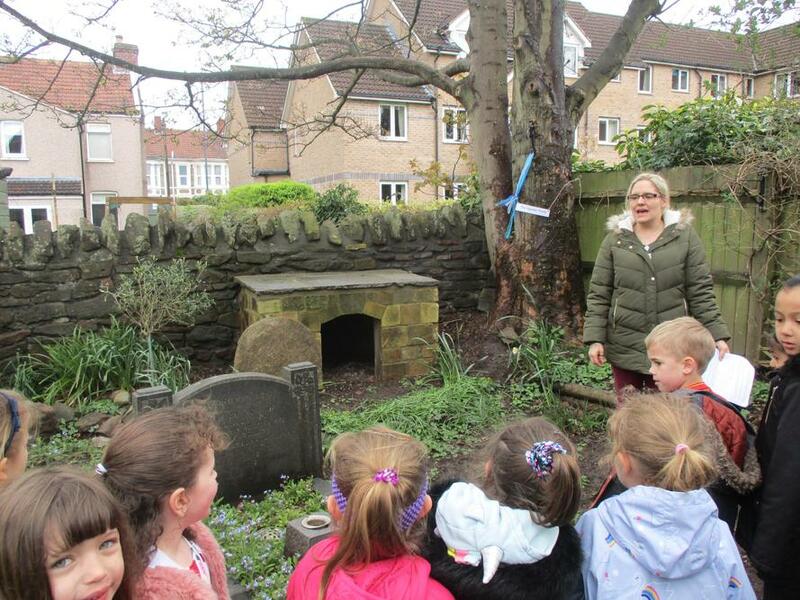 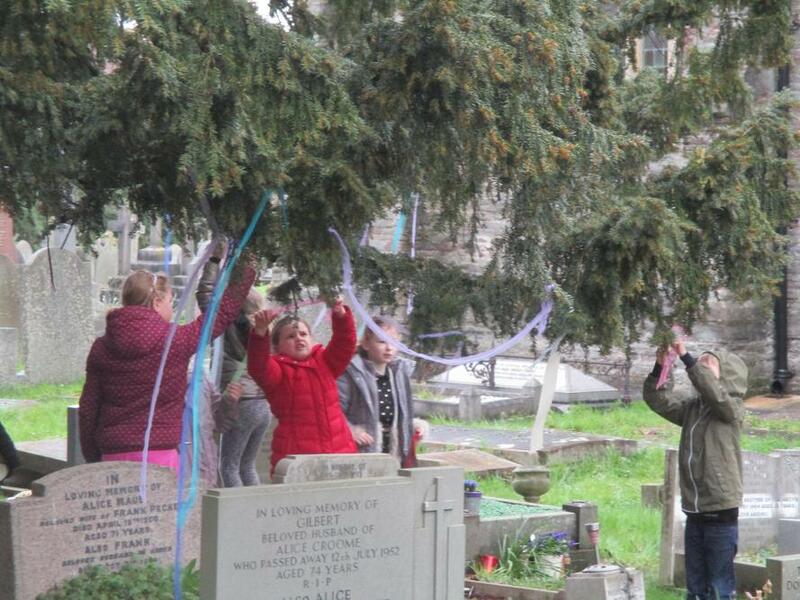 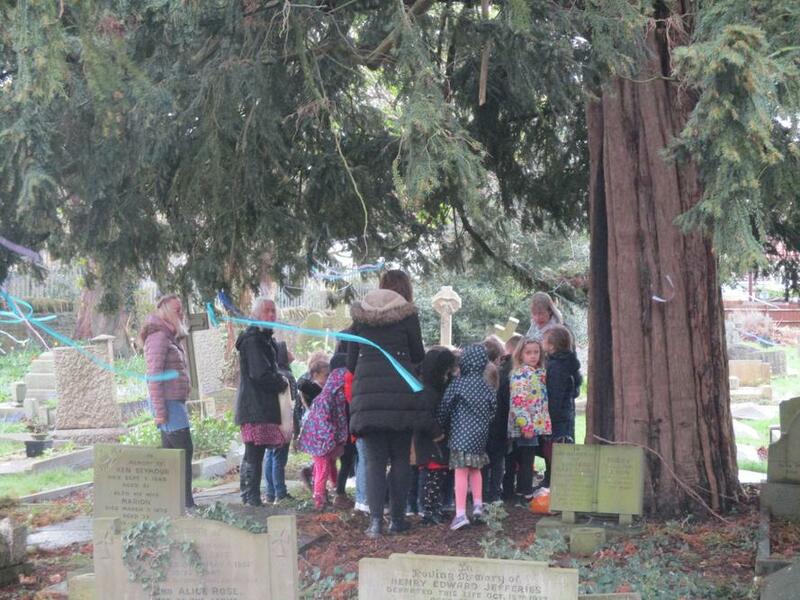 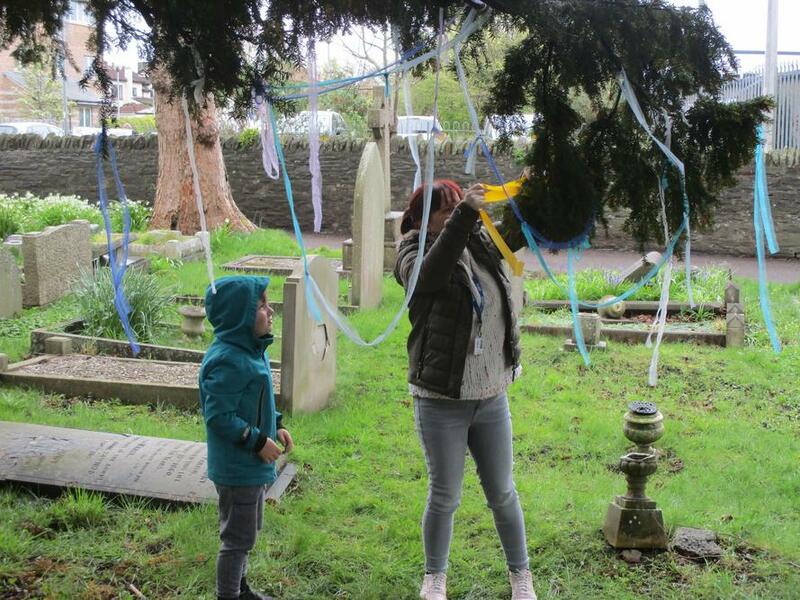 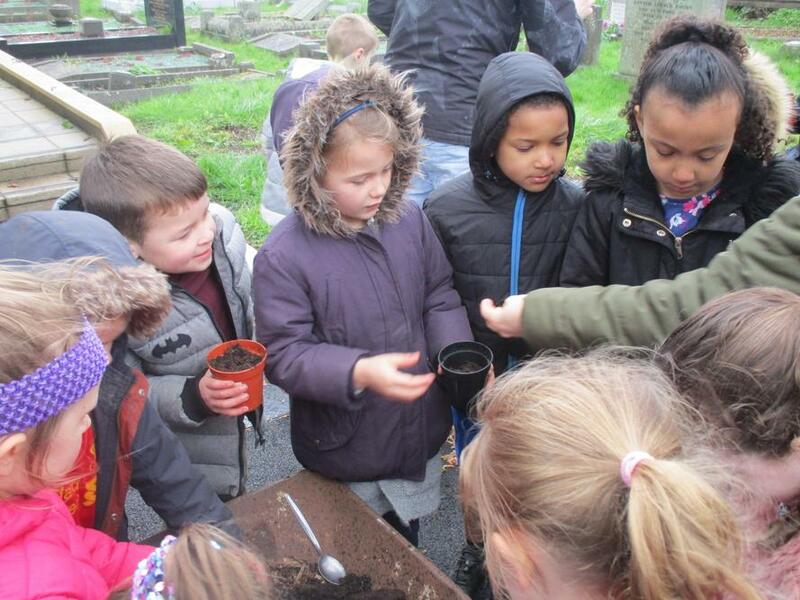 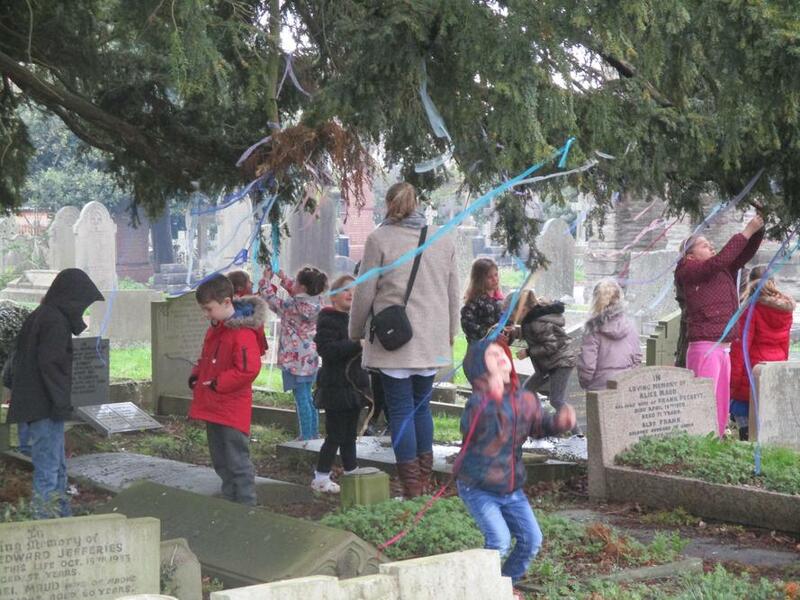 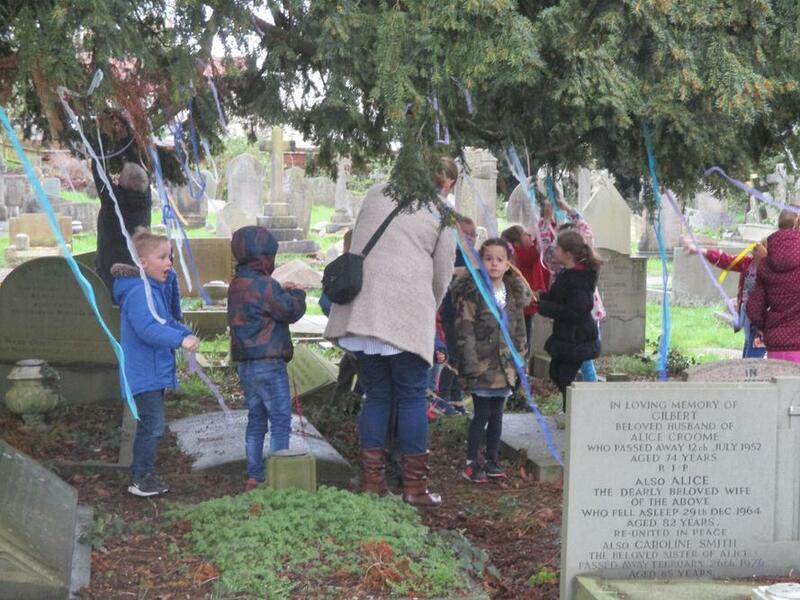 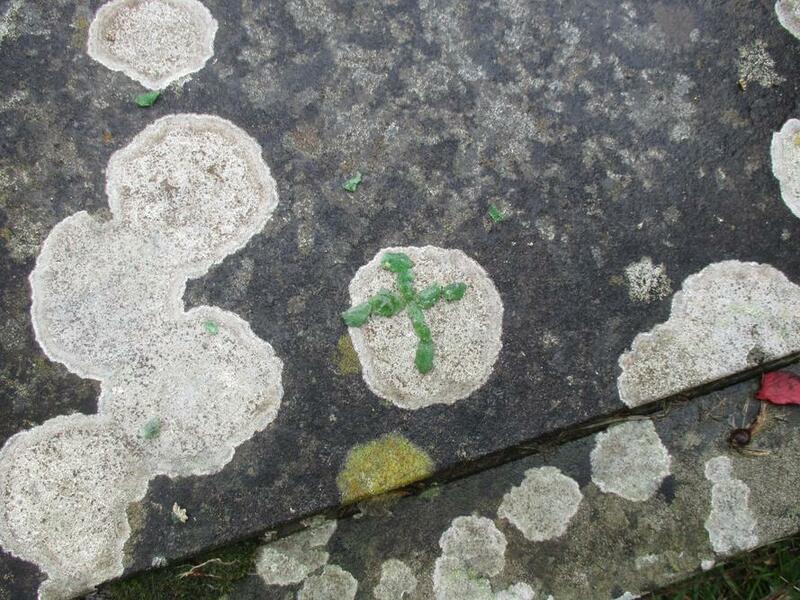 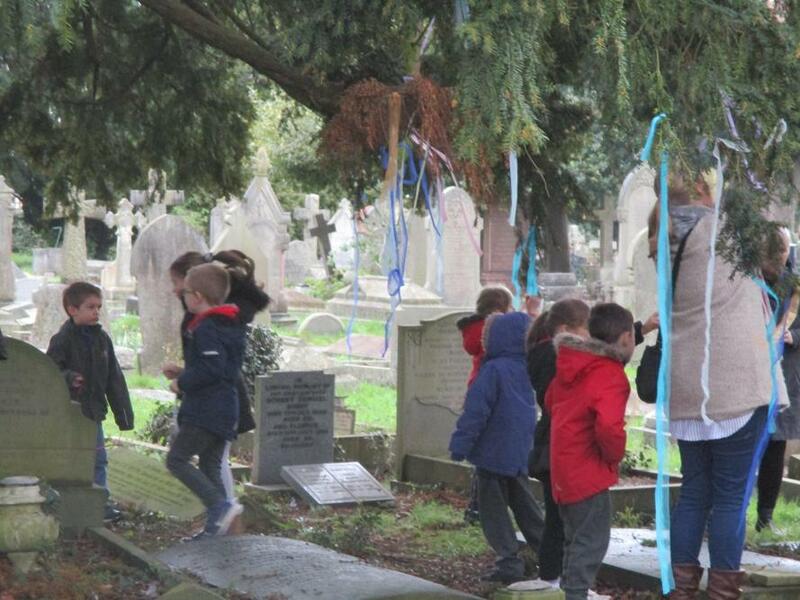 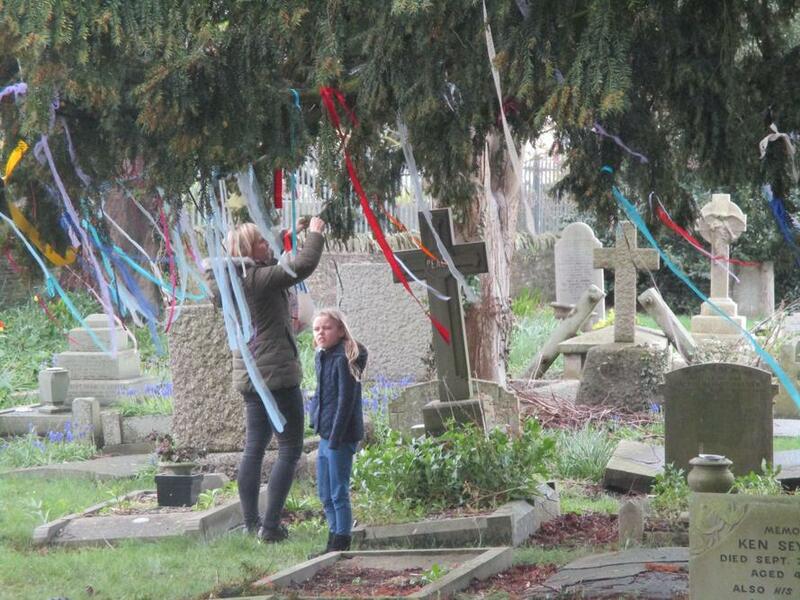 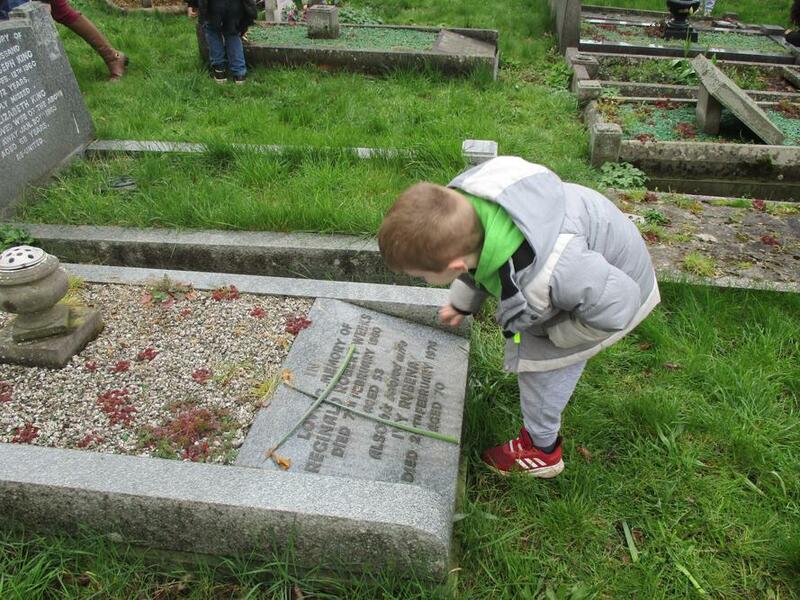 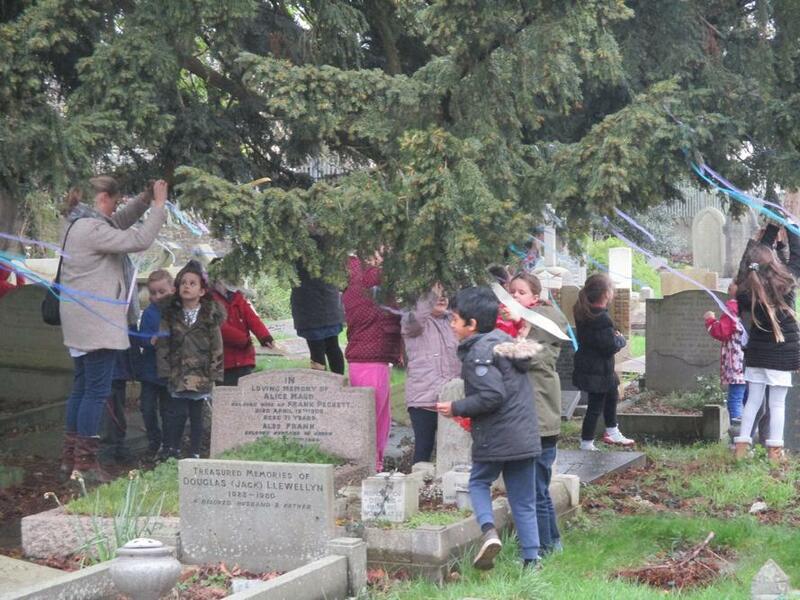 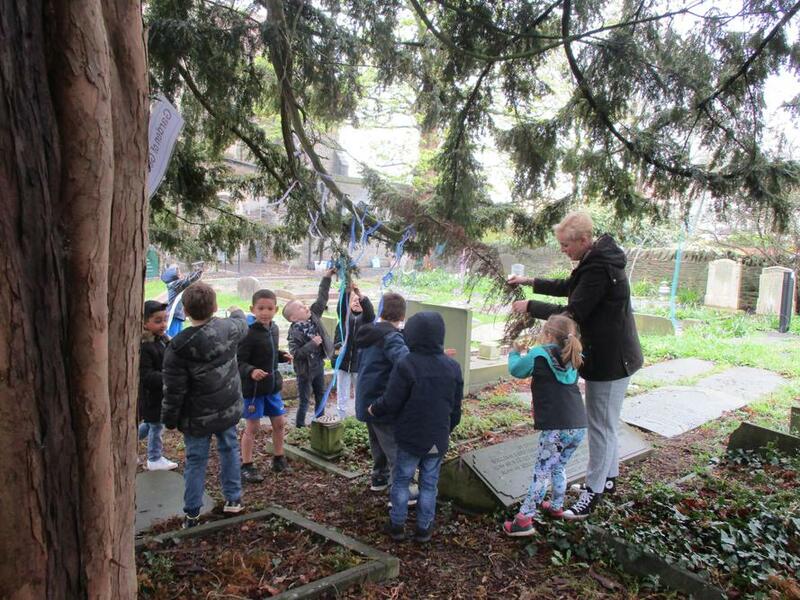 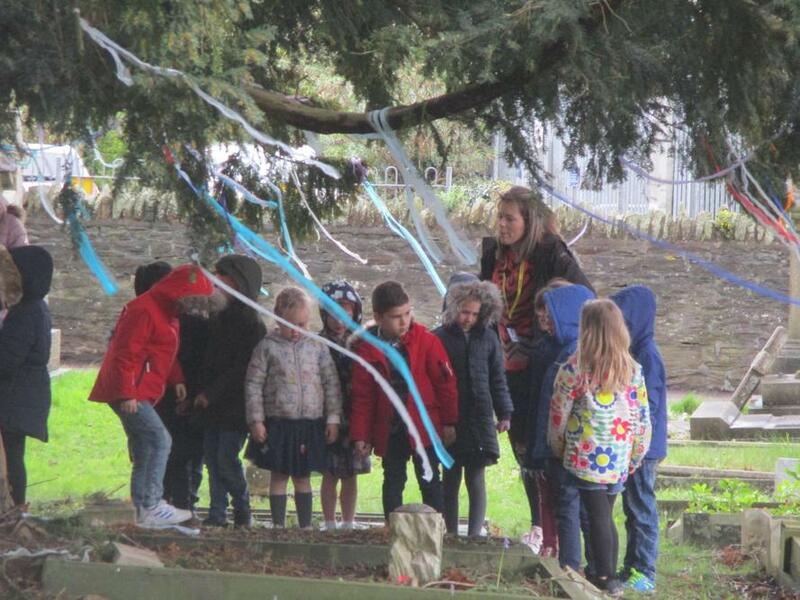 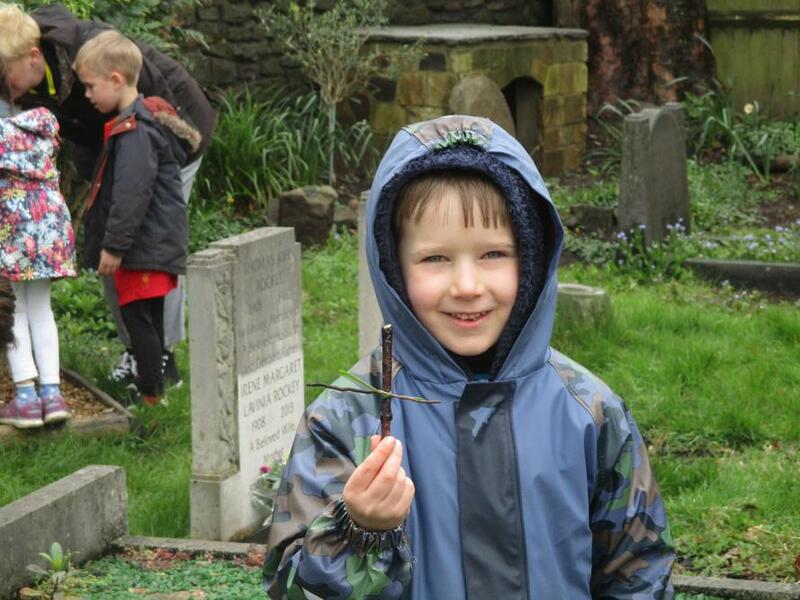 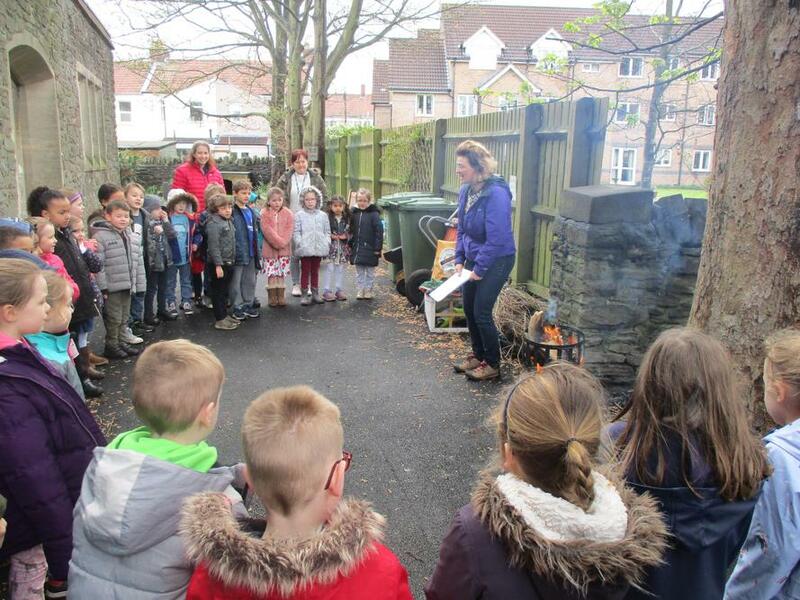 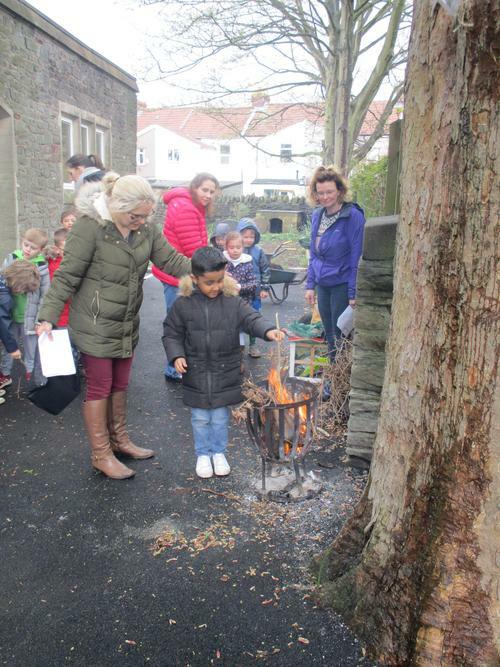 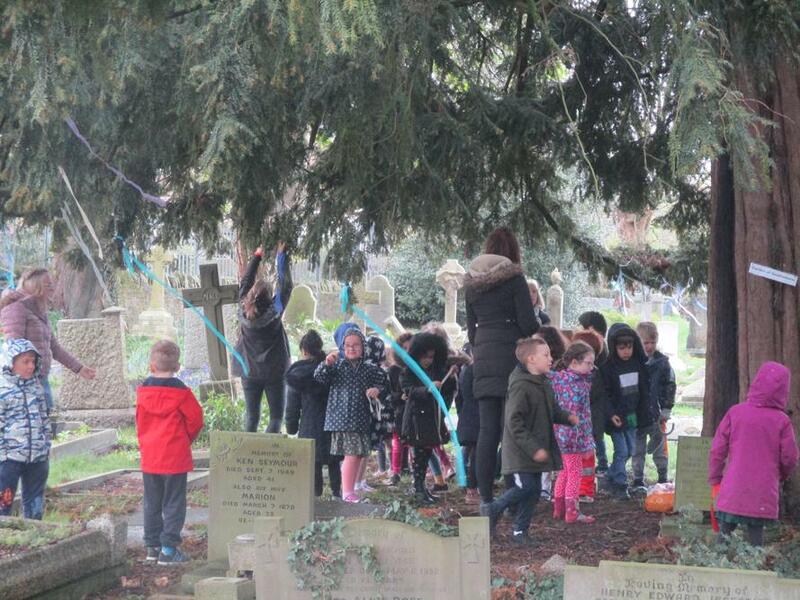 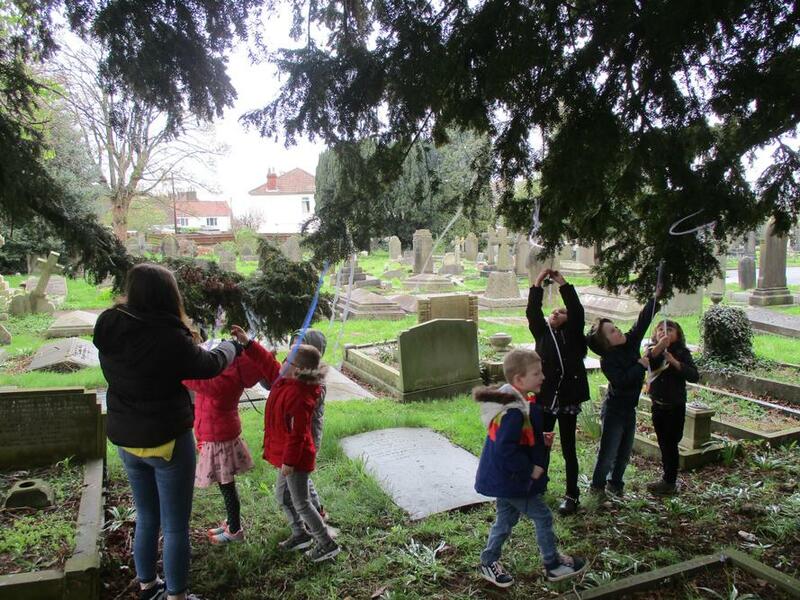 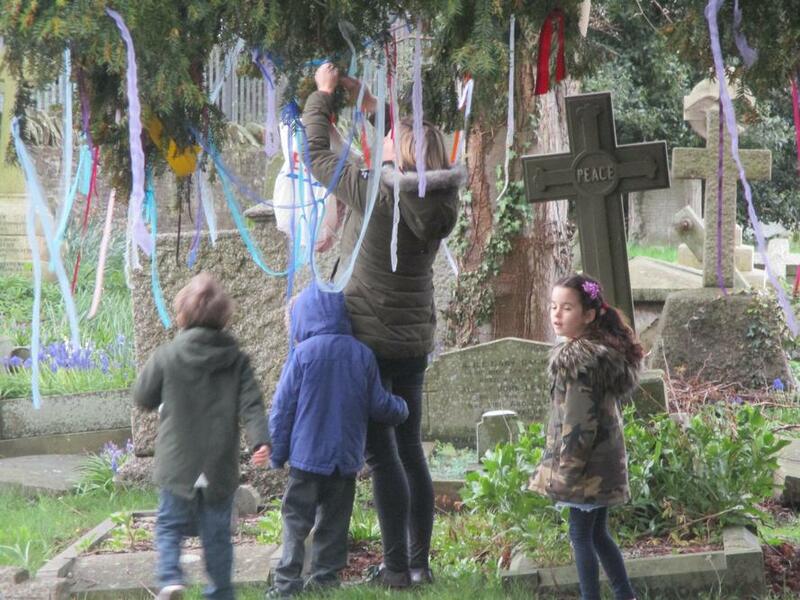 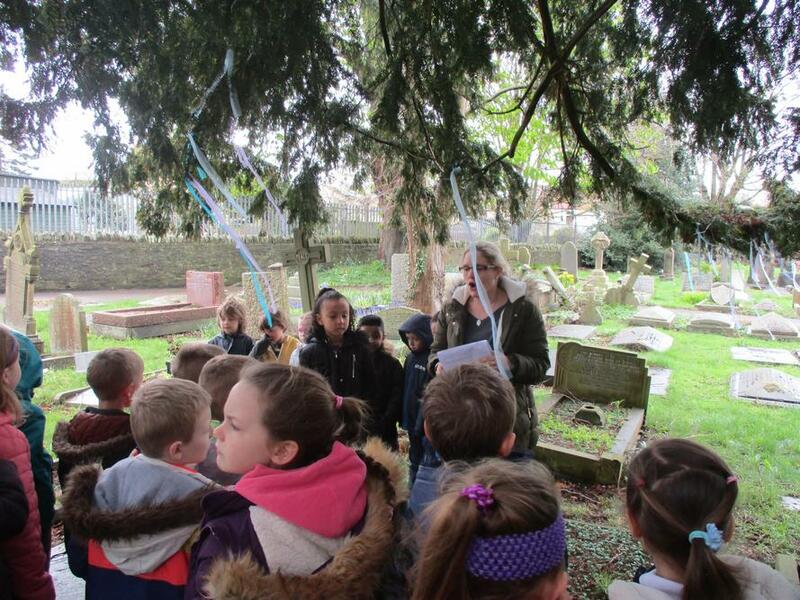 We tried ribbons to a tree to celebrate something we have persevered at, put sticks in the fire to help us say sorry, made crosses in the garden and planted seeds to show a new start. 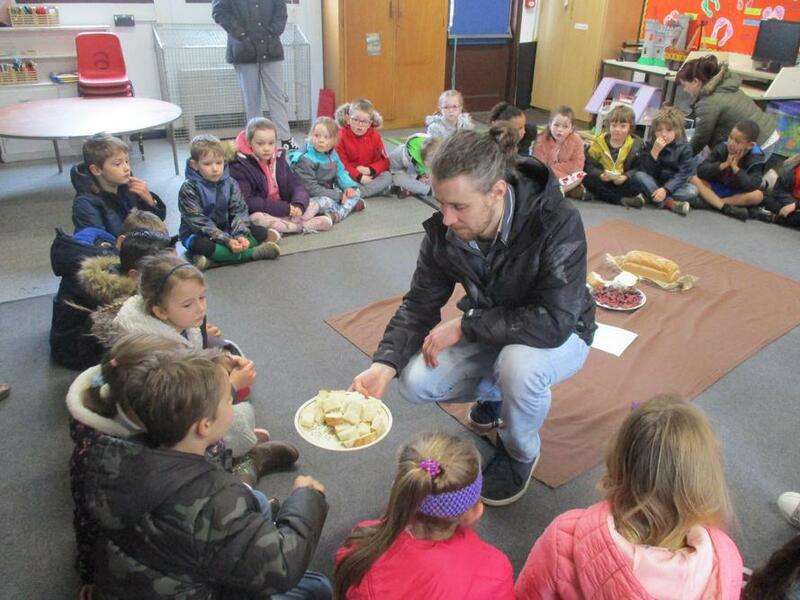 Many thanks to the Co-Op in Downend who provided the bread and grapes for us.